The gorgeous Aishwarya Rai Bachchan is on the list of every director. One such filmmaker is Karan Johar, who was so keen on working with her in 'Ae Dil Hai Mushkil' that he would not have made the film without her! 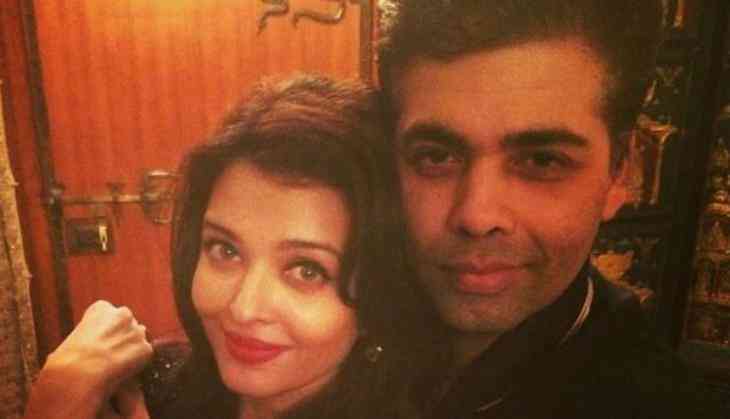 At the recently held BIG Zee Entertainment Awards, when Aishwarya came on stage to collect awards for her role in the Karan Johar-directorial and 'Sarbjit', KJo, the host of the evening, couldn't stop admiring and praising the actress for her talent. Talking about working with her in 'ADHM', Karan said, "I wanted to work with her since 1997. I narrated the script of 'Kuch Kuch Hota Hota Hai' but due to some reason things didn't work out back then." Adding, "Hence, after almost a decade, when 'Ae Dil..' was being planned, I was pretty sure, Aishwarya would make for an indispensable fit for this role. If she would have declined this role then I would have never gone ahead with it." The 'Jazbaa' star, overwhelmed by his comment, replied, "Thank you, Karan, for giving me the role of Saba. It has helped people wake up to many other possibilities that they can choose from. I am glad to have such an amazing team. I thank the entire cast and crew for their immeasurable support and hard work."